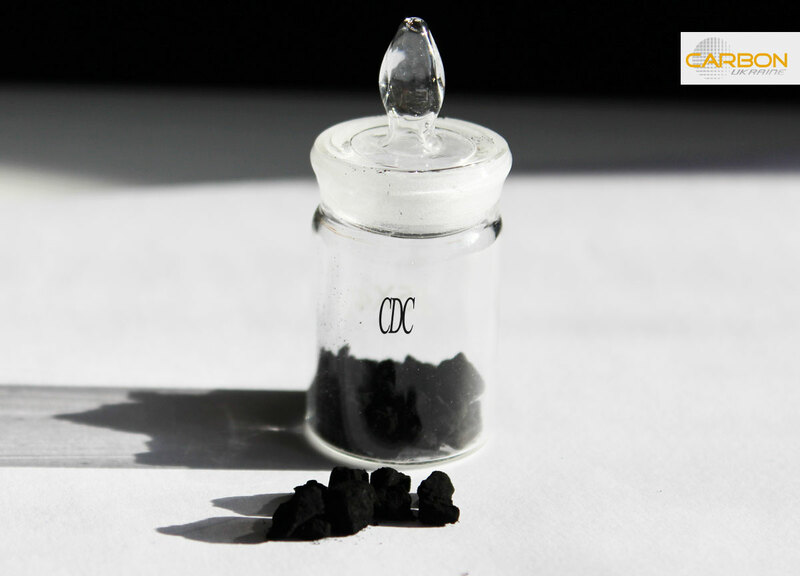 Carbide-derived carbon (CDC) is a nanoporous carbon produced by the extraction of metals from carbides. CDCs are produced at temperatures from 200-1200ºC as a powder, coating, a membrane or parts with near-final shapes, with or without mesopores. As precursors for carbide-derived carbon CDC synthesis we used different binary carbides - TiC, SiC, B4C, VC, Mo2C, NbC as well as ternary carbides, also known as MAX-phases, – Ti3AlC2, Ti2AlC, Mo2AlC, V2AlC and others. A wide range of carbide precursors leads to a wide range of pore volumes and tailored properties. Total volume and characteristic dimensions of meso- and nanopores can be predicted and achieved by selection of a binary or ternary carbide and variation of the chlorination process parameters. Carbide derived carbons CDC can find applications in molecular sieves, gas storage, catalysts, adsorbents, battery electrodes, supercapacitors, water/air filters and medical devices. With NanoporeU CDC - carbide-derived carbon, you have the flexibility of choosing porous carbons from a wide range of average pore sizes - from 0.6 nm to 30 nm.